SaddleBrooke Ranch is a gated, Robson Retirement Community located north of Tucson and 8 miles north of its sister community of SaddleBrooke. 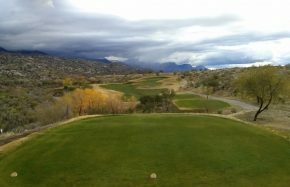 It is situated on a beautiful mesa over-looking stunning desert terrain and features dramatic mountain and sunset views. 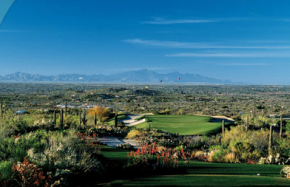 The gorgeous 18 hole golf course is both challenging for beginners and avid golfers alike and includes a fabulous architecturally designed club house and restaurant, driving range, and fully stocked pro shop. The golf course is in immaculate condition year around with smooth lush greens and fairways. Like all Robson communities, the world class amenities and the diverse collection of innovative and energy-saving homes, provide the backdrop for a world class master planned retirement community. There are 11 home models to view from 1500 to 2800 square feet and prices range from the $200’s to over $700’s. There is an expansive outdoor pool area and hot tub as well as a large indoor pool. There are also numerous pickleball and tennis courts, hiking trails, and an abundance of clubs and daily activities to choose from. 36 new pickleball courts will soon be built where national competitions will be held. Of course there is a state of the art fitness center which offer all kinds of classes you would expect at a top quality community center. SaddleBrooke Ranch is also a very friendly and welcoming resort style community that is immediately noticeable. My wife and I were very impressed by how every resident and staff member was so friendly. If you have never visited the Tucson area and have reservations about living in the desert, then you should take a visit. 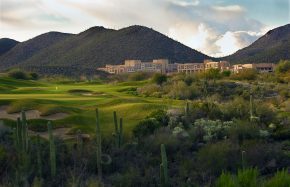 Tucson is in the high Sonoran Desert which averages over 11 inches of rain per year and is not desolate like Palm Springs or the Phoenix area. 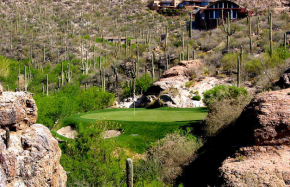 Saddlebrooke Ranch is a higher elevation than Tucson and is about 5 degrees cooler. Please call me for details about the inexpensive Robson Preferred Guest visitation program where you can stay in a model home for 3 days and fully explore this wonderful community. If you are attracted to living with 350 sunny days a year, in low humidity, and never having to worry about hurricanes, tornadoes, floods, sink holes, or corrosive salt air, then take a trip to Saddlebrooke Ranch. Did I mention very few mosquitoes? Avoid the crowds and problems of the southeast. You will love the Tucson area!